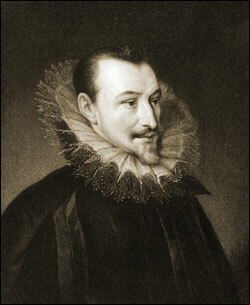 EDMUND SPENSER, English poet, author of The Faery Queen, was born in London about the year 1552. The received date of his birth rests on a passage in sonnet lx. of the Amoretti. He speaks there of having lived forty-one years; the Amoretti was published in 1595, and described on the titlepage as "written not long since"; this would make the year of his birth 1552 or 1553. 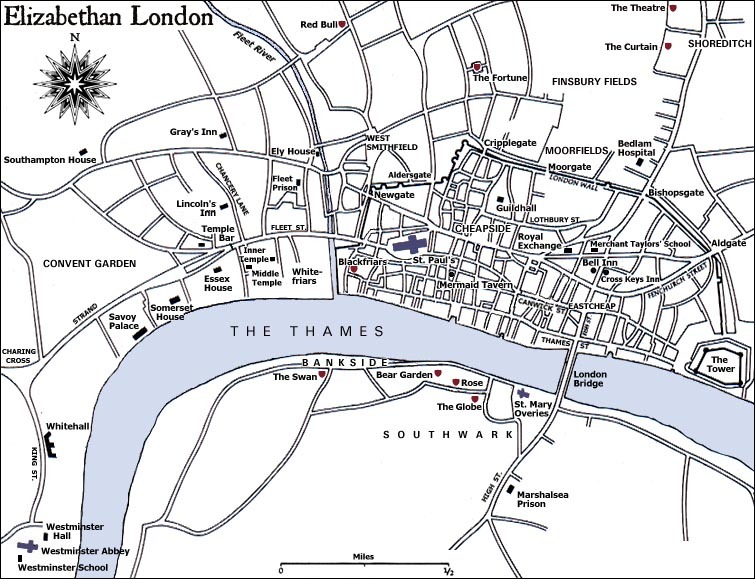 We know from the Prothalamion that London was his birthplace.  This at least seems the most natural interpretation of the words "Merry London, my most kindly nurse, That to me gave this life's first native source." In the same poem he speaks of himself as taking his name from "an house of ancient fame." Several of his pieces are addressed to the daughters of Sir John Spencer, head of the Althorp family; and in Colin Clout's Come Home Again he describes three of the ladies as "The honour of the noble family Of which I meanest boast myself to be." Mr R. B. Knowles, however, is of the opinion (see the Spending of the Money of Robert Nowell, privately printed, 1877) that the poet's kinsmen must be sought among the humbler Spencers of north-east Lancashire. 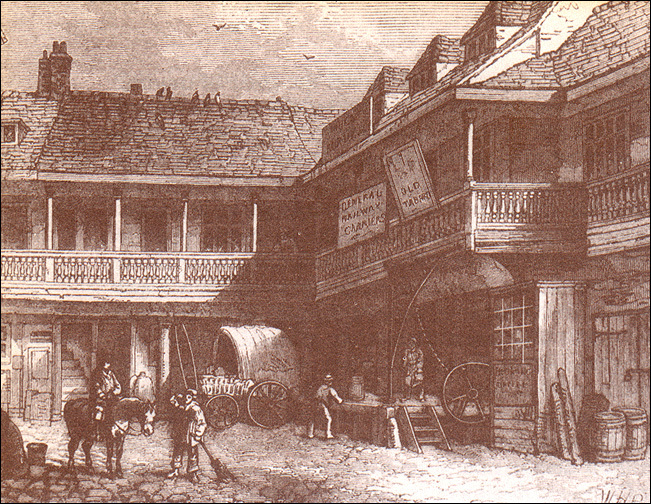 Robert Nowell, a London citizen, left a sum of money to be distributed in various charities, and in the account-books of his executors among the names of other beneficiaries has been discovered that of "Edmund Spensore, scholar of the Merchant Taylor School, at his going to Pembroke Hall in Cambridge." The date of this benefaction is the 28th of April 1569. As the poet is known to have been a sizar of Pembroke, the identification is beyond dispute. Till this discovery it was not known where Spenser received his school education. The speculations as to the poet's parentage, started by the Nowell MS., are naturally more uncertain. Mr Knowles found three Spensers in the books of the Merchant Taylors, and concluded that the poorest of them, John Spenser, a "free journeyman" in the "art or mystery of clothmaking," might have been the poet's father, but he afterwards abandoned this theory. Dr Grosart, however, adhered to it, and it is now pretty generally accepted. The connexion of Spenser with Lancashire is also supported by the Nowell MS. - several Spensers of that county appear among the "poor kinsfolk" who profited by Nowell's bounty. The name of the poet's mother was Elisabeth, and he notes as a happy coincidence that it was borne by the three women of most consequence to him - wife, queen and mother (Amoretti, lxxiv.). It is natural that a poet so steeped in poetry as Spenser should show his faculty at a very early age; and there is strong reason to believe that verses from his pen were published just as he left school at the age of sixteen or seventeen. Certain pieces, translations from Du Bellay and Petrarch, afterwards included in a volume of poems by Spenser published in 1591, are found in a miscellany, Theatre for Worldings, issued by a Flemish Protestant refugee, John van der Noodt, on the 25th of May 1569. The translations from Du Bellay appear in blank verse in the miscellany, and are rhymed in sonnet form in the later publication, but the diction is substantially the same; the translations from Petrarch are republished with slight variations. Poets were so careless of their rights in those days and publishers took such liberties that we cannot draw for certain the conclusion that would be inevitable if the facts were of more modern date; but the probabilities are that these passages in Van der Noodt's Theatre, although the editor makes no acknowledgment, were contributed by the schoolboy Spenser.1 As the exercises of a schoolboy writing before our poetic diction was enriched by the great Elizabethans, they are remarkable for a sustained command of expression which many schoolboys might exhibit in translation now, but which was a rarer and more significant accomplishment when Surrey and Sackville were the highest models in post-Chaucerian English. Little is known of Spenser's Cambridge career, except that he was a sizar of Pembroke Hall, took his bachelor's degree in 1572, his master's in 1576, and left Cambridge without having obtained a fellowship. Dr Grosart's inquiries have elicited the fact that his health was not good - college allowances while he was in residence being often paid "Spenser legrotanti." One of the fellows of Pembroke strongly influenced his destiny. This was Gabriel Harvey, a prominent figure in the university life of the time, an enthusiastic educationist, vigorous, versatile, not a little vain of his own culture and literary powers, which had gained him a certain standing in London society. The revival and advancement of English literature was a passion of the time, and Harvey was fully possessed by it. His fancy for reforming English verse by discarding rhyme and substituting unrhymed classical metres, and the tone of his controversy with Thomas Nash, have caused him to be regarded as merely an obstreperous and pragmatic pedant; but it is clear that Spenser, who had sense enough not to be led astray by his eccentricities, received active and generous help from him and probably not a little literary stimulus.  Harvey's letters to Spenser2 throw a very kindly light on his character. During his residence at the university the poet acquired a knowledge of Greek, and at a later period offered to impart that language to a friend in Ireland (see Ludowick Bryskett, Discourse of Civil Life, London, 1606, written twenty years previously). Spenser's affinity with Plato is most marked, and he probably read him in the original. Three years after leaving Cambridge, in 1579, Spenser issued his first volume of poetry, the Shepherd's Calendar. Where and how he spent the interval have formed subjects for elaborate speculation. That most of it was spent in the study of his art we may take for granted. That he lived for a time in the "north parts" of England; that there or elsewhere he fell in love with a lady whom he celebrates under the anagram of "Rosalind," and who was most likely Rose, a daughter of a yeoman named Dyneley, near Clitheroe; that his friend Harvey urged him to return south, and introduced him to Sir Philip Sidney; that Sidney took to him, discussed poetry with him, introduced him at court, put him in the way of preferment - are ascertained facts in his personal history. Dr Grosart conjectures with considerable plausibility that he was in Ireland in 1577. The words "for long time far estranged" in E.K. 's preface to the Shepherd's Calendar point that way. Spenser undoubtedly entered the service of the Earl of Leicester either in 1578 or a year earlier (Carew Papers). The interest of the Shepherd's Calendar is mainly personal to Spenser. Its twelve poems continue to be read chiefly because they were the first published essays of the author of the Faery Queen, the poems in which he tried and disciplined his powers. They mark no stage in the history of pastoral poetry. The title, borrowed from a French almanack of the year 1496, which was translated into English in 1503 and frequently reprinted, is attractive but hardly tallies with the subject. It may have been an afterthought. Spenser had too strong a genius not to make his own individuality felt in any form that he attempted, and his buoyant dexterity in handling various schemes of verse must always afford delight to the connoisseur in such things. But a reader not already interested in Spenser, or not already familiar with the artificial eclogue, would find little to attract him in the Shepherd's Calendar. The poems need a special education; given this, they are felt to be full of charm and power, a fresh and vivid spring to the splendid summer of the Faery Queen. The diction is a studiously archaic artificial compound, partly Chaucerian, partly North Anglian, partly factitious; and the pastoral scenery is such as may be found in any country where there are sheep, hills, trees, shrubs, toadstools and running streams. That Spenser, having been in the north of England, should have introduced here and there a touch of north country colour is natural enough, but it is not sufficient to give a character to the poems as pastoral poems. As such they follow continuously and do not violently break away from Latin, Italian and French predecessors, and Professor George Saintsbury is undoubtedly right in indicating Marot as the most immediate model. At the same time one can quite understand on historical grounds why the Shepherd's Calendar was hailed with enthusiasm as the advent of a "new poet." Not only was it a complete work in a form then new to English literature, but the execution showed the hand of a master. There had been nothing so finished, so sustained, so masterful in grasp, so brilliant in metre and phrase, since Chaucer. It was felt at once that the poet for whom the age had been waiting had come. The little coterie of friends whose admiration the young poet had won in private were evidently concerned lest the wider public should be bewildered and repelled by the unfamiliar pastoral form and rustic diction. To put the public at the right point of view the poems were published with a commentary by "E.K." - supposed to be one Edward Kirke, who was an undergraduate with Spenser at Pembroke. This so-called "glosse" explained the archaic words, revealed the poet's intentions, and boasted that, as in the case of Virgil, the pastoral poetry of the "new poet" was but "a proving of the wings for higher and wider flights." The "new poet's" name was withheld; and the identification of the various "shepherds" - of Cuddie and Roffy and Diggon Davie, and the beauteous golden-haired "widow's daughter of the glen" - was fortunately reserved to yield delight to the ingenious curiosity of a later age.3 On the subject of Spenser's obligations the "glosse" is very misleading. An eclogue drawn almost entirely from Virgil is represented as jointly inspired by Virgil and Theocritus and chiefly by the latter. Marot is belittled and his claim to be a poet called in question. As regards the twelfth eclogue suggested by and in part translated from his poetry, his influence is ignored. The stanzas Professor Hales cites as autobiographical are actually taken from Marot's eclogue, Au Roi sous les noms de Pan et Robin. Dr Grosart falls into the same error. The Shepherd's Calendar was published at Gabriel Harvey's instance, and was dedicated to Sir Philip Sidney. It was one out of many poetical schemes on which the young poet was busy in the flush of conscious power and high hopes excited by the admiration of the literary authorities whose approval was then most to be coveted. His letters to Harvey and Harvey's letters to him furnish hints for a very engaging fancy picture of Spenser at this stage of his life - looking at the world through rose-coloured spectacles, high in favour with Sidney and Leicester, dating his letters from Leicester House, gaily and energetically discussing the technicalities of his art, with some provision from his powerful friends - certain, but the form of it delightfully uncertain - going to court in the train of Leicester, growing pointed beard and mustachios of fashionable shape, and frightening his ever-vigilant friend and mentor Harvey by the light courtier-like tone of his references to women. The studious pastoral poet from "north parts" had blossomed with surprising rapidity in the image of the gay fortune-seeking adventurers who crowded the court of the virgin queen in those stirring times. Some of the poems which he mentions to Harvey as then completed or on the anvil - his Dreams, his Nine Comedies, his Dying Pelican and his Stemmata dudleiana (singing the praises of the noble family which was befriending him) - have not been preserved, at least in any form that can be certainly identified. Among the lost works was his English Poet - a contribution to literary criticism. He had sent Harvey a portion of the Faery Queen, which he was eager to continue; but Harvey did not think much of it - a judgment for which Harvey is often ridiculed as a dull pedant, as if we knew for certain that what was submitted to him was identical with what was published ten years later. 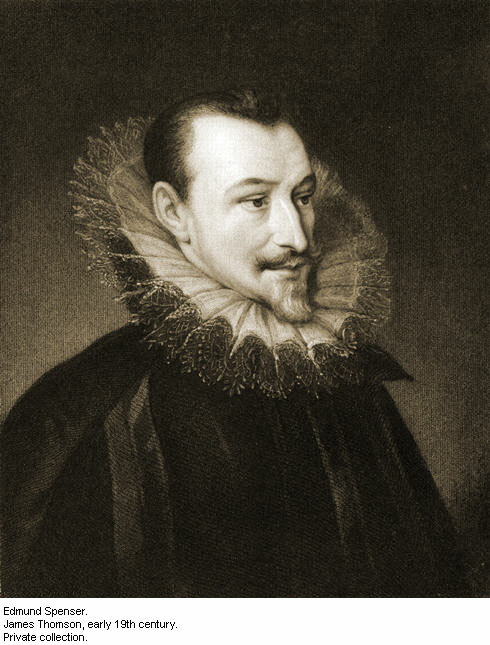 Spenser was appointed secretary to the lord-deputy of Ireland in 1580, and was one of the band of adventurers who, with mixed motives of love of excitement, patriotism, piety and hopes of forfeited estates, accompanied Lord Arthur Grey of Wilton to Ireland to aid in the suppression of Desmond's rebellion. Regret is sometimes expressed that the author of the Faery Queen, who ought to have been dreamy, meditative, gentle and refined, should have been found in such company, and should have taken part in the violent and bloody scenes of Lord Grey's two years' attempt at "pacification." But such things must be judged with reference to the circumstances and the spirit of the time, and it must be remembered that England was then engaged in a fierce struggle for existence against the Catholic powers of the Continent. Of Lord Grey's character his secretary was an enthusiastic admirer, exhibiting him in the Faery Queen as Arthegal, the personification of justice; and we know exactly what were his own views of Irish policy, and how strongly he deplored that Lord Grey was not permitted to carry them out. Spenser's View of the State of Ireland drawn up after fourteen years' experience, but first printed in 1633 by Sir James Ware, who complains of Spenser's harshness and inadequate knowledge (History of Ireland, appendix), is not the work of a gentle dreamer, but of an energetic and shrewd public official. The View is not a descriptive work; there is nothing in the style to indicate that it was written by a poet; it is an elaborate state paper, the exposition in the form of a dialogue of a minutely considered plan for the pacification of Ireland, written out of zeal for the public service for the eyes of the government of the day. A very thoroughgoing plan it is. After passing in review the history and character of the Irish, their laws, customs, religion, habits of life, armour, dress, social institutions and finding "evil usages" in every department, he propounds his plan of "reformation." Reformation can be effected only by the sword, by the strong hand. The interlocutor in the dialogue holds up his hands in horror. Does he propose extermination? By no means; but he would give the Irish a choice between submission and extermination. The government had vacillated too long, and, fearing the cost of a thorough operation, had spent twice as much without in any way mending matters. Let them send into Ireland 10,000 foot and 1000 horse, disperse them in garrisons - a complete scheme of localities is submitted - give the Irish twenty days to come in; if they did not come in then, give no quarter afterwards, but hunt them down like wild beasts in the winter time when the covert is thin; "if they be well followed one winter, ye shall have little work to do with them the next summer"; famine would complete the work of the sword; and in eighteen months' time peace would be restored and the ground cleared for plantation by English colonists. There must be no flinching in the execution of this plan - "no remorse or drawing back for the sight of any such rueful object as must thereupon follow, nor for compassion of their calamities, seeing that by no other means it is possible to recover them, and that these are not of will but of very urgent necessity." The government had out of foolish compassion drawn back before when Lord Grey had brought the recalcitrant Irish to the necessary extremity of famine; the gentle poet warns them earnestly against a repetition of the blunder. Such was Spenser's plan for the pacification of Ireland, propounded not on his own authority, but as having support in "the consultations and actions of very wise governors and counsellors whom he had sometimes heard treat thereof." He knew that it was "bloody and cruel"; but he contended passionately that it was necessary for the maintenance of English power and the Protestant religion. The method was repugnant to the kindly nature of average Englishmen; from the time of Lord Grey no English authority had the heart to go through with it till another remorseless zealot appeared in the person of Cromwell. That Cromwell knew the treatise of "the sage and serious Spenser," perhaps through Milton, is probable from the fact that the poet's Irish estates were secured to his grandson by the Protector's intervention in 1657. These estates had been granted to Spenser as his share in the redistribution of Munster - 3000 acres of land and Kilcolman Castle, an ancient seat of the Desmonds, in the north of the county of Cork. The elaborate and business-like character of the View shows that the poet was no sinecurist, but received his reward for substantial political services. He ceased to be secretary to the lord-deputy when Lord Grey was recalled in 1582; but he continued in the public service, and in 1586 was promoted to the onerous position of clerk to the council of Munster. Amidst all the distractions of his public life in Ireland Spenser kept up his interest in literature, and among proper subjects for reform included Irish poetry, of which he could judge only through the medium of translations. He allows it some merit - "sweet wit," "good invention," "some pretty flowers" - but laments that it is "abused to the gracing of wickedness and vice." Meanwhile he seems to have proceeded steadily with the composition of the Faery Queen, translating his varied experience of men and affairs into the picturesque forms of his allegory, and expressing through them his conception of the immutable principles that ought to regulate human conduct. He had, as we have seen, conceived a work of the kind and made a beginning before he left England. The conception must have been very much deepened and widened and in every way enriched by his intimate daily contact with the actual struggle of conflicting individuals and interests and policies in a great crisis. Some four or five years later, being asked in a mixed company of English officials in Ireland (as recorded in Lodowick Bryskett's Discourse of Civil Life) to give off-hand a short sketch of "the ethical part of moral philosophy" and the practical uses of the study, Spenser explained to these simpleminded men that the subject was too intricate for an impromptu exposition, but that he had in hand a work called the Faery Queen in which an ethical system would be exhibited in action. The respect paid by his official brethren to Spenser as a man, "not only perfect in the Greek tongue, but also very well read in philosophy, both moral and natural," is an interesting item in his biography. Some years later still, when Spenser was settled at Kilcolman Castle, Sir Walter Raleigh found him with three books of the Faery Queen completed, and urged him to come with them to London. London accordingly he revisited in 1589, after nine years' absence. There is a very pretty record of this visit in Colin Clout's Come Home Again, published in 1595, but written in 1591, immediately after his return to Kilcolman. The incidents of the visit, by that time matters of wistful memory, are imaged as a shepherd's excursion from his quiet pastoral life into the great world. Colin Clout calls round him once again the masked figures of the Shepherd's Calendar, and describes to them what he saw, how he fared, and whom he met at the court of Cynthia, and how, through the influence of "the Shepherd of the Ocean," he was admitted at timely hours to play on his oaten pipe in the great queen's presence. How much is pure fiction and how much veiled fact in this picture cannot now be distinguished, but it is undoubted that Spenser, though his chief patrons Leicester and Sidney were now dead, was very graciously received by the great world on his return to London. Not only did the queen grant him an audience, but many ladies of the court, several of whom he afterwards honoured with dedications, honoured him with their patronage. The first three books of the Faery Queen, which were entered at Stationers' Hall on the 1st of December 1589, were published in 1590, and he was proclaimed at once with remarkable unanimity by all the writers of the time as the first of living poets. From the first week of its publication the literary world has continued unanimous about the Faery Queen, except on minor points. When romanticism was at its lowest ebb Pope read Spenser in his old age with as much delight as in his boyhood. Spenser speaks himself of having had his detractors, of having suffered from the venomous tooth of the Blatant Beast, and he seems to have had in more than ordinary share the poet's sensitiveness to criticism; but the detraction or indifference have generally been found among men who, like the lord high treasurer Burghley, have no liking for poetry of any kind. The secret of Spenser's enduring popularity with poets and lovers of poetry lies specially in this, that he excels in the poet's peculiar gift, the instinct for verbal music. Shakespeare, or the author of the sonnet usually assigned to him, felt and expressed this when he drew the parallel between "music and sweet poetry": "Thou lovest to hear the sweet melodious sound That Phoebus' lute, the queen of music, makes; And I in deep delight am chiefly drowned Whenas himself to singing he betakes." This is an early word in criticism of Spenser, and it is the last word about his prime and unquestionable excellence - a word in which all critics must agree. Whether he had imagination in the highest degree or only luxuriant fancy, and whether he could tell a story in the highest epic manner or only put together a richly varied series of picturesque incidents, are disputable points; but about the enchantment of his verse there can be no difference of opinion. It matters not in the least that he gains his melody often by archaic affectations and licences of diction; there, however purchased, the marvellously rich music is. In judging of the structure of the Faery Queen we must always remember that, long and diffuse as it is, what we have is but a fragment of the poet's design, and that the narrative is regulated by an allegorical purpose; but, however intricate, however confused, the reader may feel the succession of incidents to be, when he studies the succession of incidents, it is only at the call of duty that he is likely to occupy himself with such a study in reading Spenser. The ethical value of the allegory has been very variously estimated. The world would probably never have divined that there was any allegory if he had not himself drawn attention to it in a prose dedication and in doggerel headings to the cantos. It was apparently at his friend Raleigh's suggestion that the poet condescended to explain his ethical purpose in A Letter of the Author's addressed to Sir Walter and dated the 23rd of January 1589-1590; otherwise it would have been as problematical as the similar intention in the case of the Idylls of the King before that intention was expressly declared. It is almost to be regretted, as far as the allegory is concerned, that the friendly "E. K." was not employed to furnish a "glosse" to the Faery Queen as he had done to the Shepherd's Calendar. Undoubtedly the peculiar "poetic luxury" of the Faery Queen can be enjoyed without any reference to the allegory; even Professor Dowden, the most eloquent champion of Spenser's claims as a "teacher," admits that it is a mistake to look for minute correspondence between outward symbol and underlying sense, and that the poet is least enjoyable where he is most ingenious. Still the allegory governs the structure of the poem, and Spenser himself attached great importance to it as determining his position among poets. The ethical purpose is distinctive of the poem as a whole; it was foremost in Spenser's mind when he conceived the scheme of the poem, and present with him as he built up and articulated the skeleton; it was in this respect that he claimed to have "overpassed" his avowed models Ariosto and Tasso. If we wish to get an idea of Spenser's imaginative force and abundance, or to see his creations as he saw them, we must not neglect the allegory. It is obvious from all that he says of his own work that in his eyes the ethical meaning not only heightened the interest of the marvellously rich pageant of heroes and heroines, enchanters and monsters, but was the one thing that redeemed it from romantic commonplace. For the right appreciation of many of the characters and incidents a knowledge of the allegory is indispensable. For example, the slaughter of Error by the Red Cross knight would be merely disgusting but for its symbolic character; the iron Talus and his iron flail is a revolting and brutally cruel monster if he is not regarded as an image of the executioner of righteous law; the Blatant Beast, a purely grotesque and ridiculous monster to outward view, acquires a serious interest when he is known to be an impersonation of malignant detraction. Notwithstanding its immense range, the Faery Queen is profoundly national and Elizabethan, containing many more or less cryptic allusions to contemporary persons and interests. It has never been popular abroad, as is proved by the fact that there is no complete translation of it in any of the Continental languages. This is doubtless on account of a certain monotony in the subject-matter, which is only partially relieved by subtle variations. The same objection applies to the famous "Spenserian stanza" with its concluding Alexandrine. It was by no means a happy invention, but its infelicity is disguised by its author's marvellous skill in rhythm, and thus recommended it was adopted by Byron and Keats. In his own day Spenser was criticized by Sidney, Ben Jonson, Daniel and others for the artificiality of his language, his "aged accents and untimely words," but Ben Jonson went further - "Spenser's stanza pleased him not, nor his matter." Milton, on the other hand, duly appreciated "our sage and serious poet," and he has been followed by a long line of distinguished judges. It was Charles Lamb who named Spenser "the poet's poet." 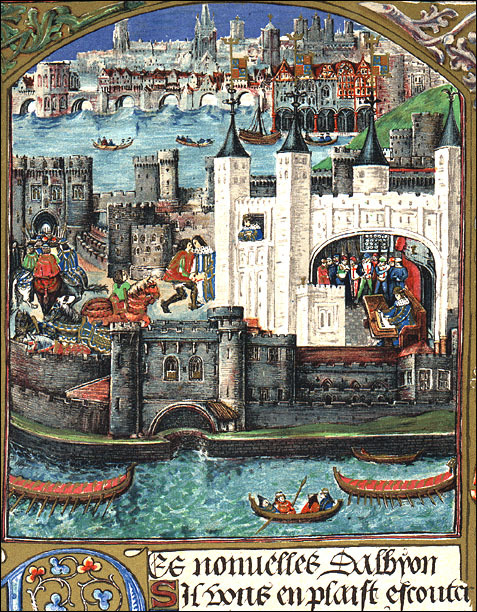 After the publication of the Faery Queen Spenser seems to have remained in London for more than a year, to enjoy his triumph. It might be supposed, from what he makes the Shepherd of the Ocean say in urging Colin Clout to quit his banishment in Ireland, that Raleigh had encouraged him to expect some permanent provision in London. If he had any such hopes, they were disappointed. The thrifty queen granted him a pension of £50, which was paid in February 1591, but nothing further was done for him. Colin Clout's explanation that the selfish scrambling and intriguing of court life were not suited to a lowly shepherd swain, and that he returned to country life with relief, may be pastoral convention, or it may have been an expression of the poet's real feelings on his return to Kilcolman, although as a matter of fact there seems to have been as much scrambling for good things in Munster as in London. Certain it is that he did return to Kilcolman in the course of the year 1591, having probably first arranged for the publication of Daphnaida and Complaints. Daphnaida is a pastoral elegy on the death of the niece of the mistress of the robes. The fact implied in the dedication that he was not, personally, known to the lady has more than once provoked the solemn remark that the poet's grief was assumed. Of course it was assumed; and it is hardly less obvious that sincerity of personal emotion, so far from being a merit in the artificial forms of pastoral poetry, the essence of which lies in its dreamy remoteness from real life, would be a blemish and a discord. Any suggestion of the poet's real personality breaks the charm; once raise the question of the poet's personal sincerity, and the pastoral poem may at once be thrown aside. The remark applies to all Spenser's minor poetry, including his love sonnets; the reader who raises the question whether Spenser really loved his mistress may have a talent for disputation, but none for the full enjoyment of hyperbolical poetry. Complaints, also published in 1591, is a miscellaneous collection of poems written at different periods. The volume contained The Ruins of Time; The Tears of the Muses; Virgil's Gnat; Mother Hubbard's Tale; The Ruins of Rome; Muiopotmos; Visions of the World's Vanity; Bellay's Visions; Petrarch's Visions. Some of these pieces are translations already alluded to and interesting only as the exercises of one of our greatest masters of melodious verse; but two of them, The Tears of the Muses and Mother Hubbard's Tales, have greater intrinsic interest. The first is the complaint of the decay of learning alluded to in Midsummer Night's Dream, v. i. 52 "The thrice three Muses mourning for the death Of Learning late deceased in beggary." The lament, at a time when the Elizabethan drama was "mewing its mighty youth," was not so happy as some of Sperser's political prophecies in his View of Ireland; but it is idle work to try to trace the undercurrents and personal allusions in such an occasional pamphlet. Mother Hubbard's Tale, a fable in Chaucerian couplets, shows a keenness of satiric force not to be paralleled in any other of Spenser's writings, and suggests that he left the court in a mood very different from Colin Clout's. 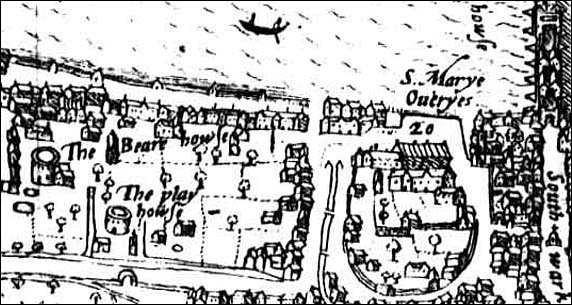 Spenser returned to London probably in 1595. He had married in the interval a lady whose Christian name was Elizabeth - Dr Grosart says Elizabeth Boyle. The marriage, celebrated on the 11th of June 1594, was followed by a rapid succession of publications. The first was a volume (entered at Stationers' Hall, on the 19th of November 1594; published 1595) containing the Amoretti, a series of exquisite sonnets commemorative of the moods and incidents of his courtship, and the magnificent Epithalamion, incomparably the finest of his minor poems. As in the case of the Complaints, the publisher for obvious reasons issued this volume nominally without his authority. Colin Clout's Come Home Again was published in the same year, with a dedication to Sir Walter Raleigh, dated 1591. Early in 1596 the second three books of the Faery Queen were entered in the register of Stationers' Hall, and in the course of the same year were published his Four Hymns, his Prothalamion, and his Astrophel, a pastoral lament for Sir Philip Sidney, which he dedicated to the countess of Essex. That Spenser wrote more of the Faery Queen during the last two years of his life, and that the MS. perished in the sack of Kilcolman Castle by the rebels, may plausibly be conjectured, but cannot be ascertained. During those years he would seem to have been largely occupied with political and personal cares. He describes himself in the Prothalamion as a disappointed suitor at court. 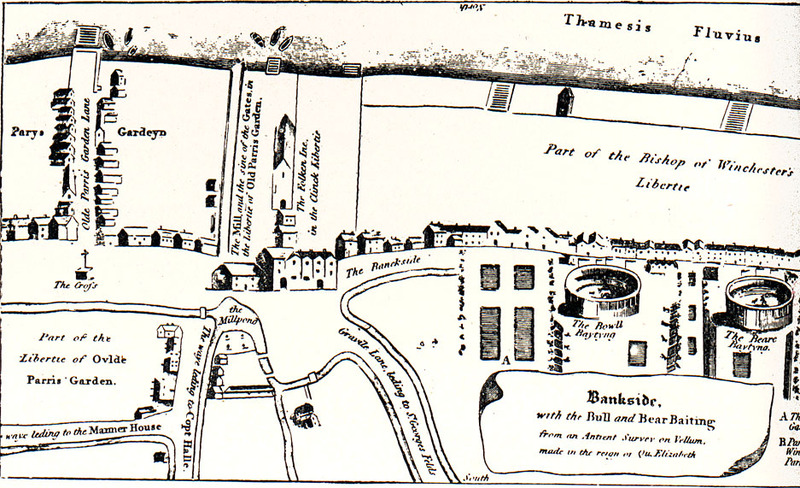 He drew up his View of Ireland in 1596 when he was in London, and from various circumstances it is evident that he had hopes of some kind from the favour of Essex. The View, with its urgent entreaty that Essex should be sent to Ireland, was entered at Stationers' Hall in April 1598, but he did not obtain leave to publish it. 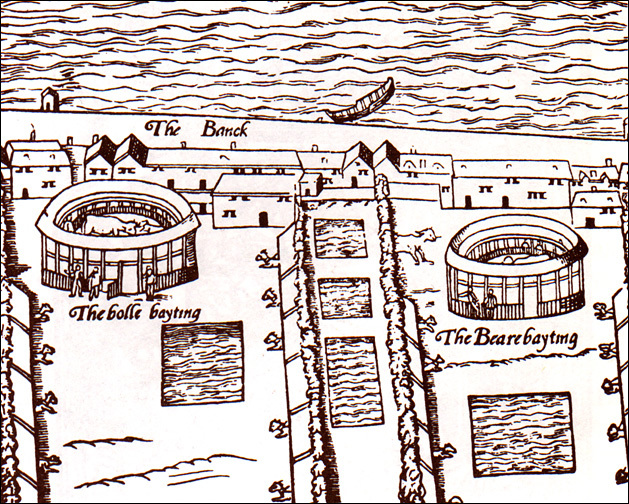 Burghley, who had long stood in his way, died in August of that year, and next month Spenser, who seems to have returned to Ireland in 1597, was appointed sheriff of Cork. In October Tyrone's rebellion broke out, and Spenser's house was sacked and burned. The poet himself escaped, and in December was sent to London with despatches. Again he ventured to urge upon the queen his plan for the thorough "reformation" of Ireland. But his own end was near. On the 16th of January 1599 he died at Westminster, ruined in fortune, if not heart-broken, and was buried in Westminster Abbey, near his master Chaucer. Ben Jonson asserted that he perished for lack of bread, and that when the earl of Essex, hearing of his distress, sent him "20 pieces," the poet declined, saying that he had no time to spend them. This report of his end is mentioned also by the author of The Return from Parnassus, but, having regard to Spenser's position in the world, it is inherently improbable. Still there is an ugly possibility of its truth. The poet left three sons and a daughter. A pedigree of the family appeared in the Gentleman's Magazine for August 1842. 1 The first versions of the Visions of Petrarch and Du Bellay are reproduced by Dr Grosart in his Complete Works of Spenser, vol. iv. (London, 1882). The translations of Petrarch are imitated from Marot. Koeppel (Englische Studien, vol. xv. ), questions whether they are by Spenser (see also J. B. Fletcher, Modern Language Notes, vol. xxii.). 2 Letter-Book of Gabriel Harvey (Camden Society). Encyclopedia Britannica, 11th Ed., vol. XXV. Cambridge: Cambridge University Press, 1910. 641-4. Created by Anniina Jokinen on September 2, 2006. Last updated on June 4, 2010.